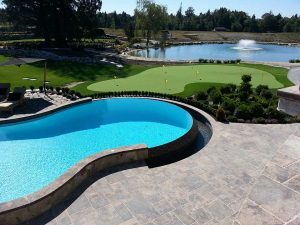 Beautiful custom-built pool or spa. Right next to a putting green on a golf course. - Curb Design Inc.